Today's operation hours as below. Current Weather Conditions at Summit Station. ※The schedule is subject to change depending on the weather. ※Maintenance period may be changed by circumstances. In that case will be notified by website. The landscape of Toya Caldera and Usu Volcano Global Geopark changes every dozens years, resulting the ever-changing sceneries available in the area which makes the geopark a perfect place for appreciating the beauty of changing earth shaped by volcano eruptions. Although disasters have been brought by the volcano eruptions of Mount Usu for a long period, we learnt to co-exist with the volcano as we struggled. Through making predictions on the next eruption, we lower the damage done by the eruption to its smallest and enjoy beautiful sceneries, fruitful agricultural products as well as hots springs granted by Mount Usu. The formation of Meiji-shinzan after eruption from the base of the mountain with 45 craters. Toya hot spring was found after the eruption. The formation of Shōwa-shinzan after eruption from the base of the mountain as the wheat field was being pushed up. Much damage was done by the eruption from the peak as the volcanic smoke reached the height of 12,000m. Usu-shinzan was formed after the upheaval of the river mouth on the peak. Erupted from the base of mountain near to the Toya hot spring. There were no casualties as evacuation were done before the eruption which was predicted beforehand. As the soil is mixed with volcanic ash and pumices, the soil has good drainage and is full of minerals which makes it suitable for agriculture and stock farming. Because of volcano eruptions, the arenaceous seabed with numerous rocks fell from the mountain is the perfect habitat for fishes and scallops. During the eruption in 1910, the underground water was warmed and formed a new hot spring around lake Toya. Sceneries experience changes every time during eruption and the beauty of nature is enhanced. After seeing the sights, come for fun and fine flavors to Kazan-mura (“volcano village”) at the Sanroku Gondola Station. ※Opening hours are depending on the seasons and subject to change. Tourists can study the eruption of Mt. Usu while enjoying the view from the gondola lift. 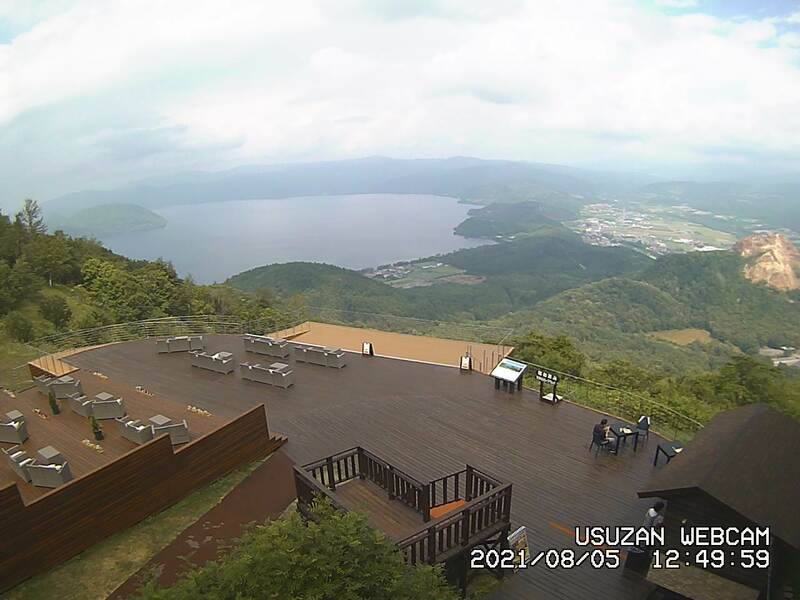 “Toya Usu Volcano Geopark Village Information Center”, locating in “Volcano Village” in Mount Usu Ropeway sanroku station, provides information on what to explore in the Geopark including Mount Usu and its charm point. It may not be available if seminars are held in the center. Important figures who are involved in the history of the eruption of Mount Usu are put under the spotlight as we introduce initiatives for disaster mitigation. Panels displaying the story of the Mt. Usu eruption are exhibited so that visitors can easily understand volcanism and the history of this mountain’s eruptions. Get off at the Toyako Onsen Bus Terminal. Change to Donan Bus bound for Showa Shinzan and get off after 15 min. at the last stop. ※No bus services to Showa Shinzan in winter. 15 min. from Date Interchange on the Do-oh Expressway to Mt. Showa Shinzan by car.